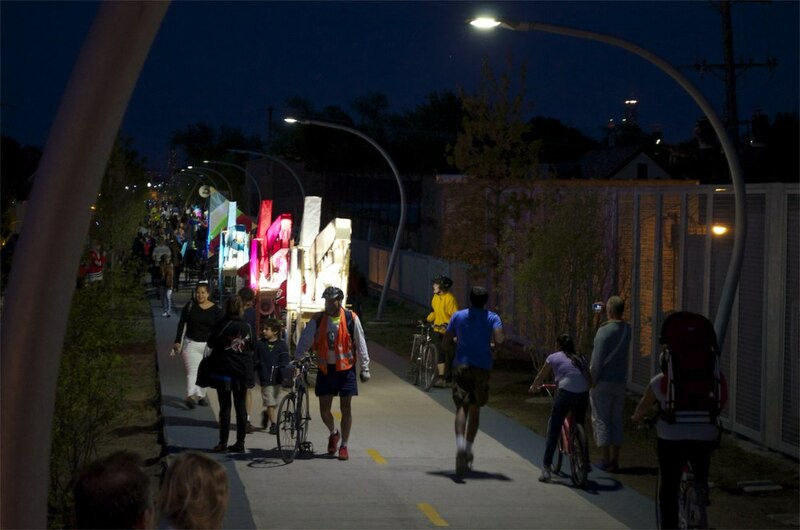 Opera-Matic participated in festivities on the opening day of the 606 (aka the Bloomingdale Trail), Chicago's elevated moving parkway, on June 6, 2015. We choreographed both scheduled and impromptu musical processions from each end of the trail. At various entry points along the trail, teaching artists led impromptu flag-making sessions, complete with sewing machines, for use in the marching processions. The flags were carried along the trail, shouting faces of joy and celebration, calling attention to the Chicagoans that call these sites home. The elevated park is 2.7 miles in length, connecting four Chicago neighborhoods: Wicker Park, Bucktown, Logan Square and Humboldt Park. New City account of art along the trail here. Preparation for opening day included: a music residency with Mcauliffe Elementary School, a maker residency with Association House and regular sessions with a team of local artists and students to choreograph processions, make flags and produce sculptures. 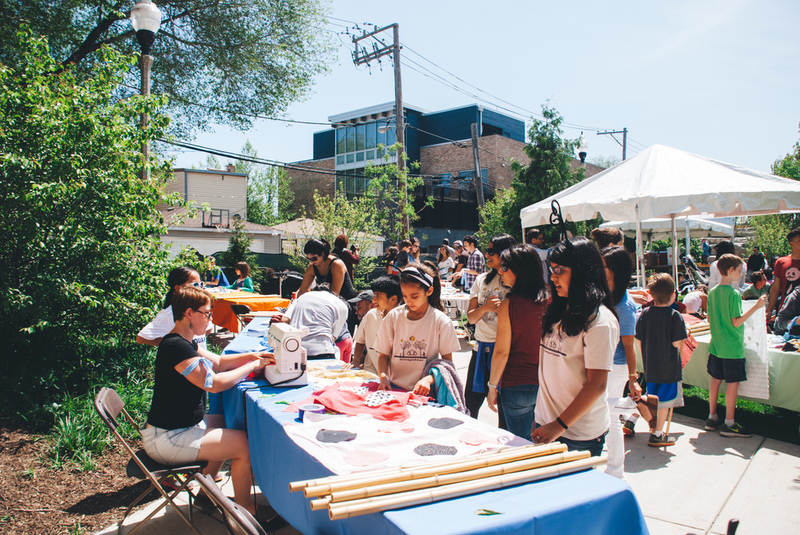 Opera-Matic developed an after-school music program with 3rd to 5th graders and 6th to 8th graders with Humboldt Park’s Mcauliffe Elementary School. Students learned beginning percussion skills and vocals, while simultaneously building on collaboration and working towards a goal. Both age groups performed an end-of-season concert and were invited to march along the 606 trail on opening day. Students at El Quarto Año made flags and practiced flag moves for opening day. Opera-Matic made the Association House band mobile with a rolling stage and sound system.